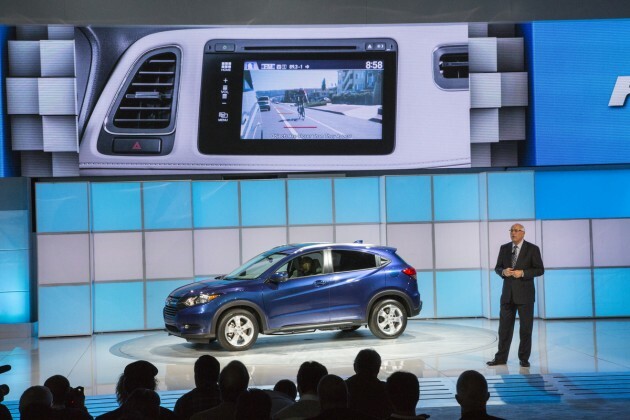 The 2016 Honda HR-V debuted yesterday at the Los Angeles International Auto Show, becoming the first all-new Honda model in years. 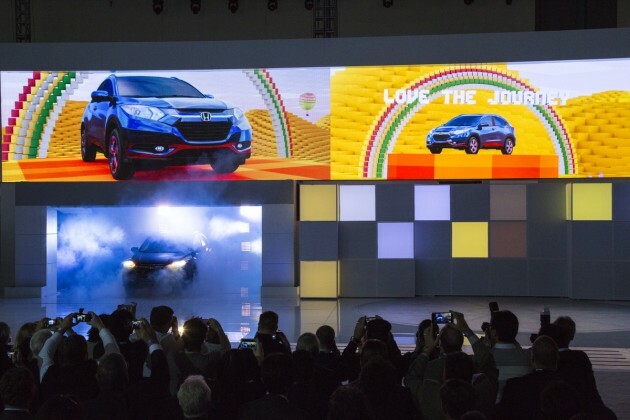 Although essentially just an American version of the Japanese automaker’s Vezel, Honda’s latest offering in the entry crossover market will act as a little brother to the brand’s larger CR-V SUV. Built in the same Mexican manufacturing plant and on the same platform as the Honda Fit, the HR-V is 9.1 inches longer, 3.2 inches taller, and 2.8 inches fatter than the appropriately slimmer Fit. The HR-V also shares the Fit’s space-saving Magic Seat, endowing it with up to 100.1 cubic feet of passenger space and, with the second row seats folded down, 58.8 cu. ft. of cargo room. 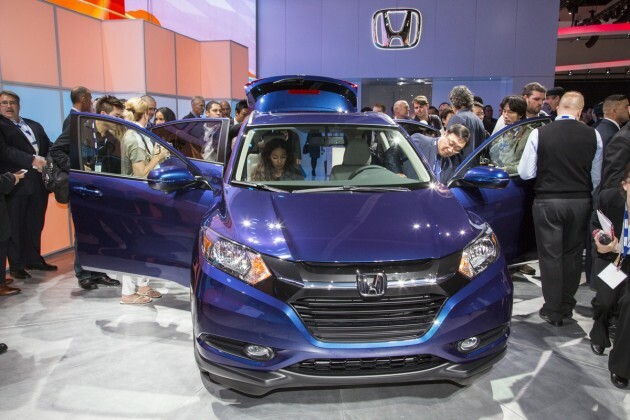 The 2016 Honda HR-V is powered by a 1.8-liter SOHC 16-valve 4-cylinder engine that yields 138 horsepower at 6,500 rpm and 127 lb.-ft. of torque at 4,300 rpm. The engine is paired with a CVT, or a 6-speed manual for two-wheel-drive models. Though Honda’s press release promises the HR-V will boast “class-leading fuel economy ratings,” no official mileage figures have been released yet. When the 2016 Honda HR-V goes on sale in the spring of 2015, it will be available in LX, EX, and EX-L trim levels (expect a starting MSRP of around $20,000 for the base LX). Boy, look at that sucker go, huh?